snuck off home early. the fruit of my afternoon's "work"
It ws sleeting last night but thats about it! 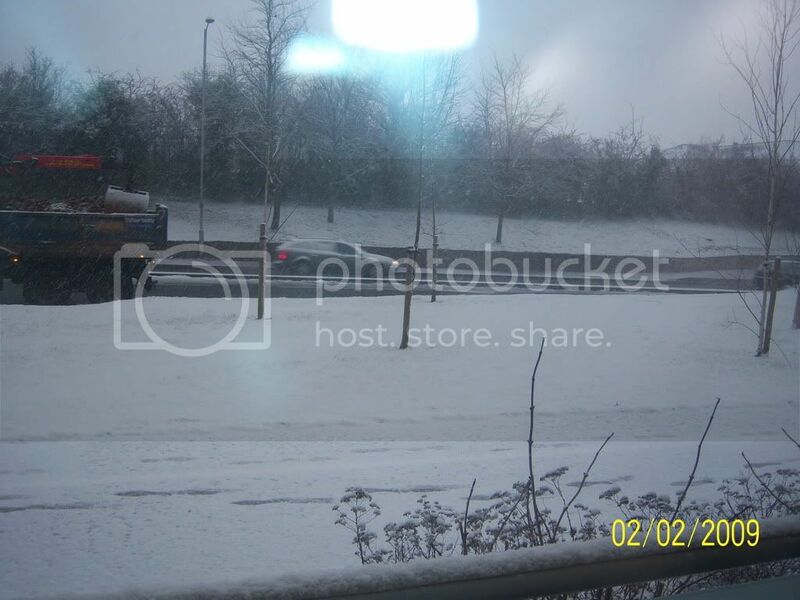 Im sorry bout picture quality, am off sick so in my dressing gown, not going out in that!! The second shot proves why I love good old Scotland, you can always rely on rain to come. The snow should hopefully be gone soon. I know, I know I'm a scrooge. I dont' care. North London courtesy of my mum. Epic win today. I'm sure FT will link some pics. College got closed at 12 but for good reason. We did have about 6 inches today. The sky is still falling. I think i just wet myself ! 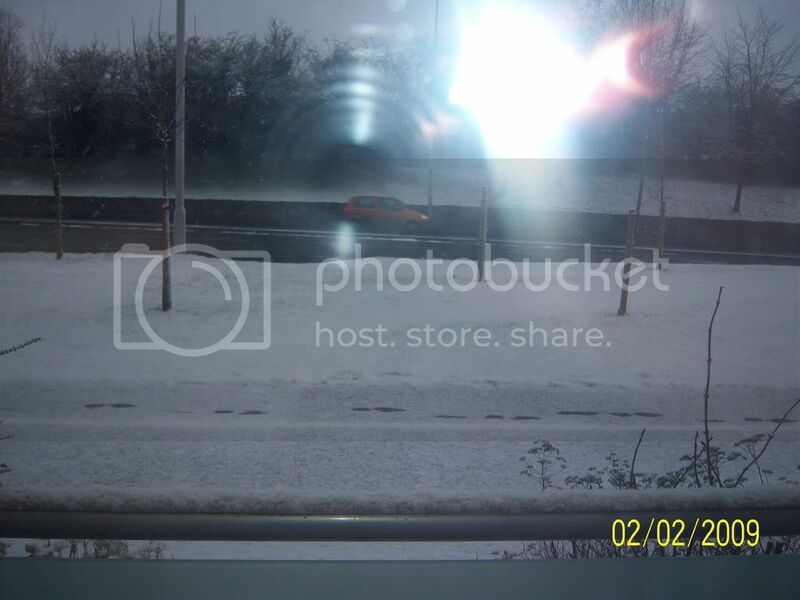 Had proper snow in Dublin this AM. Kicked off around 7AM, continued until late afternoon. Settled pretty well... completely unheard of and caused all sorts of disruptions. Few pictures me and Dave took. Ah man honestly I'm so happy and hyped right now. My muscles ache all over from spending so long throwing snowballs and making snow men and snow angels and running around like mad and eeee! Can't wait to do it all again tomorrow!